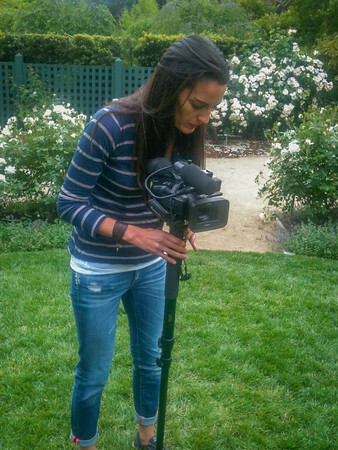 For anyone who wants to use our portable equipment, we offer a short one-on-one video training class to insure you are ready to get the most out of our cameras, tripods and any other basic equipment you want to rent from us. The cost is $45/hour and usually it requires one hour. Please contact zoomin@midpenmedia.org to set up a tutorial. Upon completion, you’ll be ready to use our equipment. 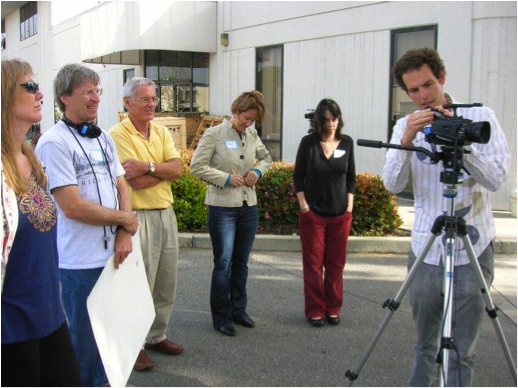 For beginners and Intermediates, we offer the Zoom In Video Production Workshop, where participants learn all the skills needed to create a 2 minute video by the end of the workshop. Zoom In covers producing, storytelling, camera operations, audio, lighting, editing with iMOVIE 13, creating an electronic file and sharing to Youtube. 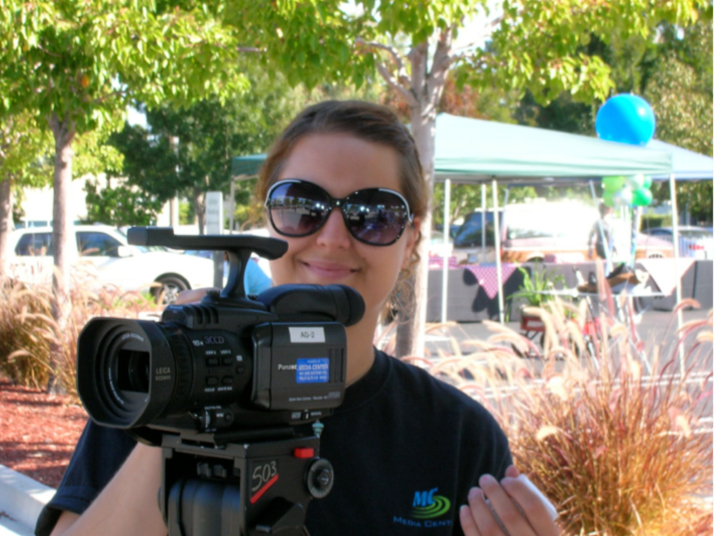 For ZOOM IN grads who want the support of a community to hone their skills, you can join the Zoom In Video Production Collaborative with access to professional mentors. “Zoomers” crew for one another’s shoots, share tips and tricks and enjoy social events tailored to their interests. For new editors, Zoom In covers iMOVIE 13, but we also offer a stand alone FINAL CUT X workshop. For all editors, our MACs are equipped with iMOVIE 13, Final Cut Pro 7, Final Cut X and Adobe Creative Suites 6. We have two private edit suites that may be reserved as well as a classroom of 9 editing computers with the same features as the private suites. All computers have access to a music library of royalty free music. 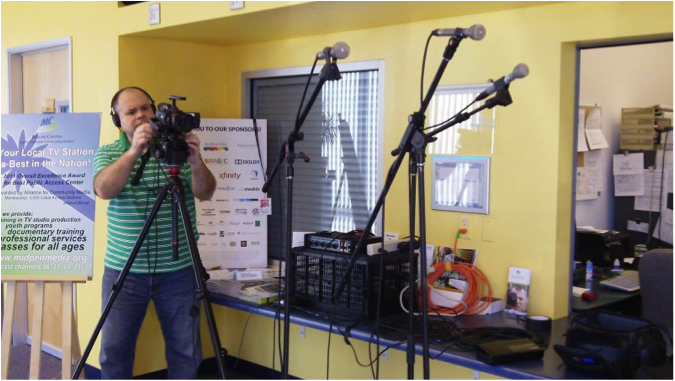 We have cameras, tripods, mics, lights and other accessories to lend. To reserve edit time, email zoomin@midpenmedia.org. For all learners, we routinely create custom classes for schools and organizations, plus we offer one on one refresher courses tailored to your needs. Contact zoomin@midpenmedia.org to arrange a consultation about whether a group class would be suitable for your club, school group, professional organization, or to explore one-on-one tutoring. Our rental rates are affordable, and for members of ZOOM IN, most equipment rentals are included in your membership fee. We also offer training and volunteer opportunities to cover sports and community events with our mobile production truck which allow multi-camera live to tape productions. To learn more about the truck team, contact info@midpenmedia.org. For people who are big on ideas but short on time, we can create the video for you! Check out our Pro Services Department for a consultation.